How to fill in my personal data after registration? After registration, you can fill in your profile and add a photo. For this purpose click on your profile icon in the top right corner. To fill in your profile click at “My profile” button. You will see 6 tabs designed for profile settings. 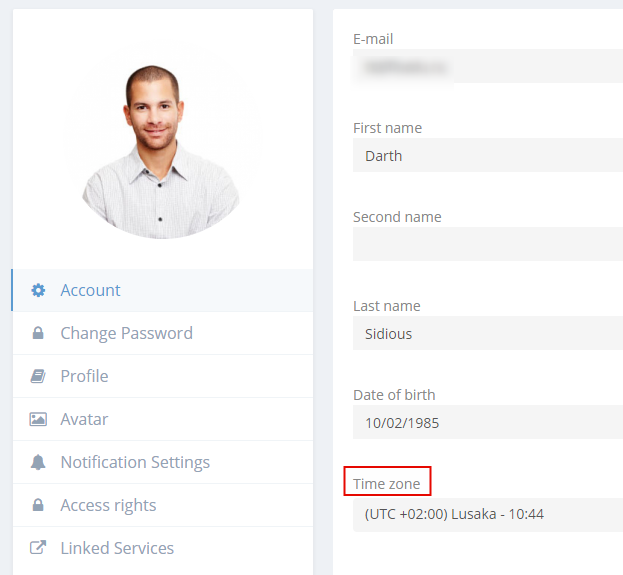 Time zone settings in a personal profile by each employee is useful when your team is in different time zones. In messages and comment, everyone will see the relevant time. Time zone setting for the whole site is displayed in general system settings. 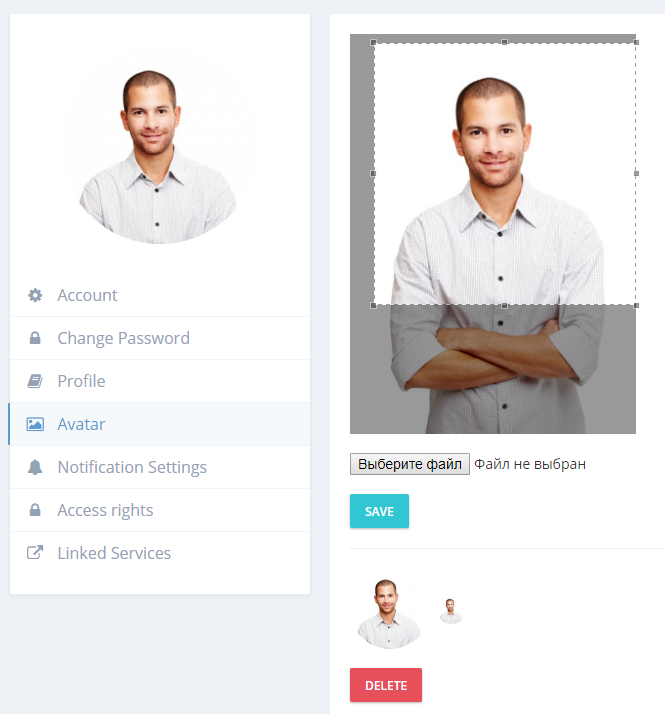 Avatar – to download the file click on “Browse” button, choose a file on your computer, press the “Save” button. After your photo is uploaded, you can crop visible area. Personal data - here you can specify all the information needed to get in touch with you. Notification settings – all notifications in your account are turned on by default. You can set notifications for your account by yourself. For this purpose switch slider to OFF next to notification, you need to turn off. 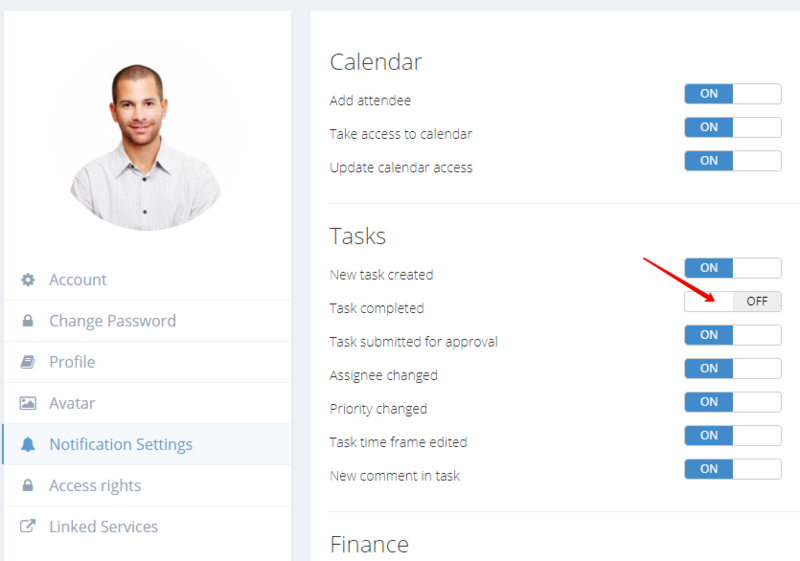 For example, you would like to know when payment on bills appears, but you do not want to see notifications on requests of invoice approval. Deactivate relevant settings by mouse click not to see this information. As Flowlu grows, list of applications available for notification settings will grow. 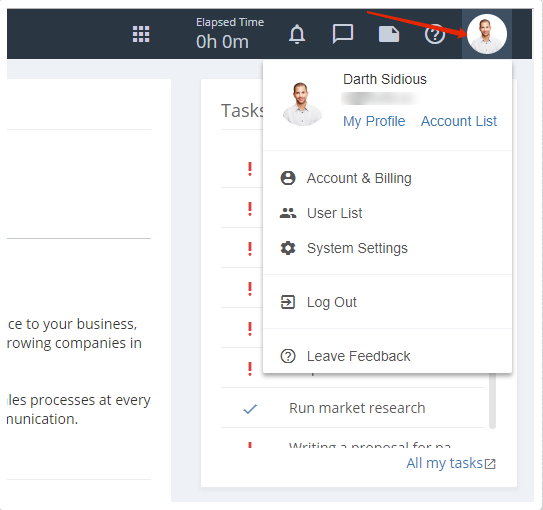 Linked services – for quick authorization by 1 click you can connect your profile in Flowlu service to Google-account. Choose connected services in profile settings, page for google account connection will open in new tab. After this click on “Google” button, and the window for entering Google account will open. Choose google account that you want to connect your Flowlu profile. Congratulations on the successful connection of your Google account to Flowlu service! keyboard_arrow_left How to register in Flowlu system?